Having taken a look at the defence and defensive midfielders and forward passing, our new method of football under Mauricio Pochettino, slight tongue in cheek for all you unaware serious types, I have produced the Tottenham Hotspur Passing Forward League Table. The player is listed first, the number of forward passes he has made in the Premier League and the percentage of his overall passes that are forwards. I have them all in a database so we can see if anyone gets near Sandro's 70.13% from last season. The central defenders will, but will anyone else get anywhere near the 70% barrier? Early indications are that we pass forward more on the right side of the field than we do on the left side. As you would expect the central defenders pass forward the most, again more so on the right side than the left. Bottom of the early league table and also on the left is Nacer Chadli, it will be interesting to see if the right-sided forward passing trend continues at Tottenham as the season progresses. Next up I'll bring you the Tottenham Hotspur Crossing Accuracy League Table and tomorrow I'll bring you the Tottenham Hotspur Tackles Won League Table and the Tottenham Hotspur Headers Won League Table, both of which will be determined by percentage success. I'll then update them throughout the season so we can see how everyone progresses. 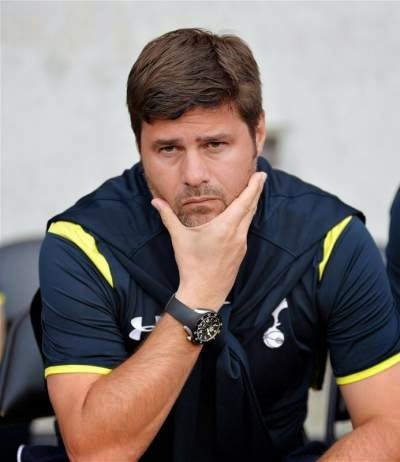 1 Response to "Tottenham Passing Forward League Table"